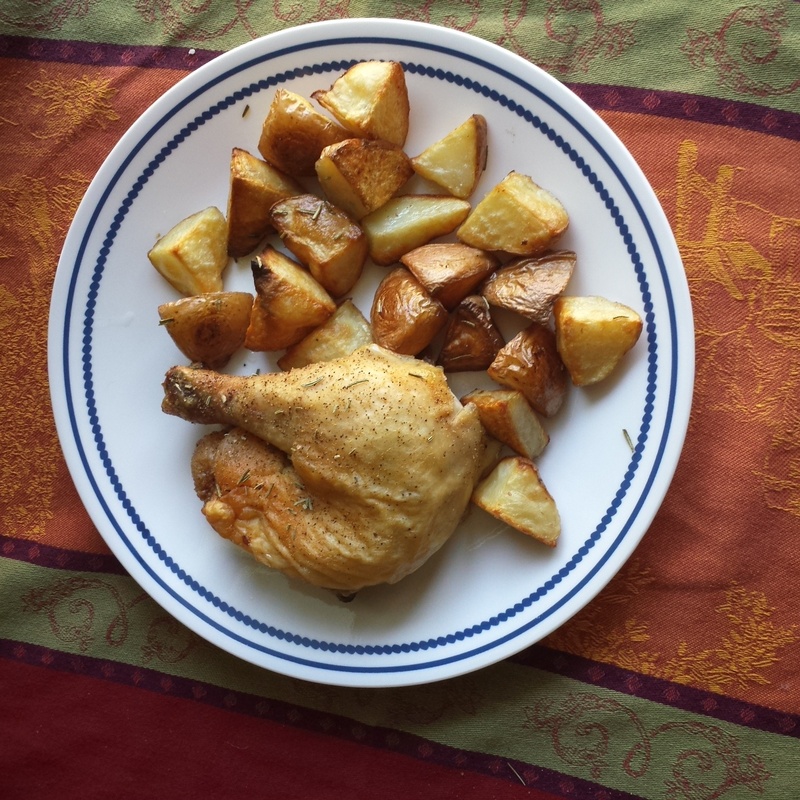 The back was removed from the chicken and was seasoned with Himalayan salt, garlic, and pepper. He then placed the chicken on a baking sheet that had parchment paper on it. The potatoes were tossed in olive oil, sprinkled with Rosemary, Himalayan salt, olive and garlic. He then placed the potatoes on a baking sheet that had parchment paper on it and put them booth in the oven at 350 degrees until the chicken temperature was 165 degrees. The potatoes took about 20 mins longer because we like them crispy.